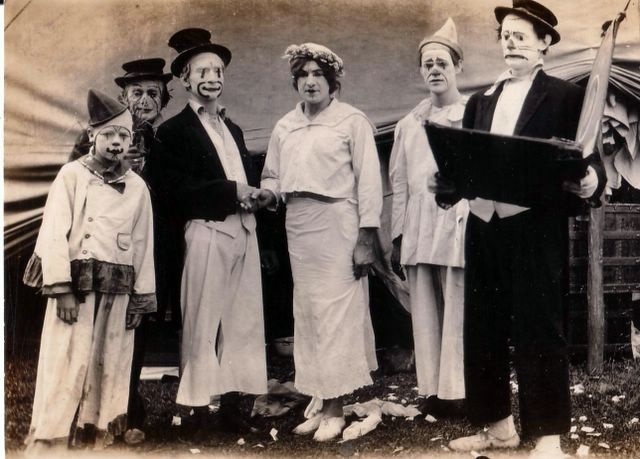 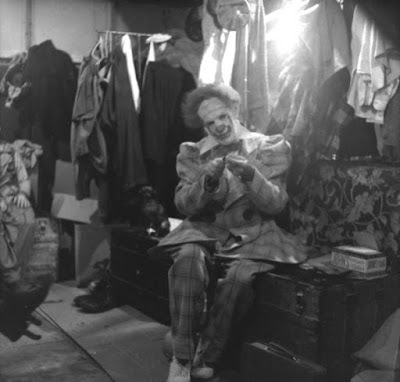 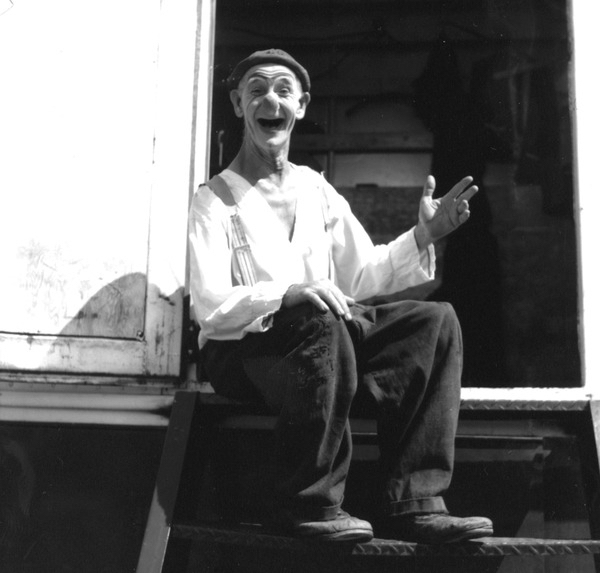 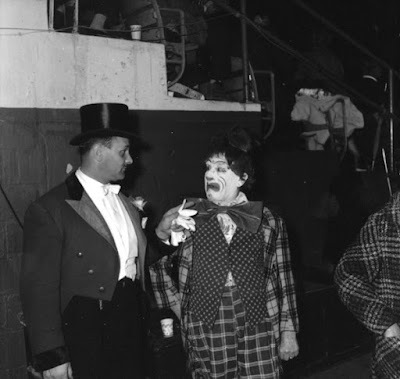 Clown Harry Nelson with Ringmaster Trevor Bale. 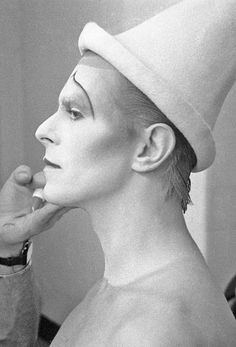 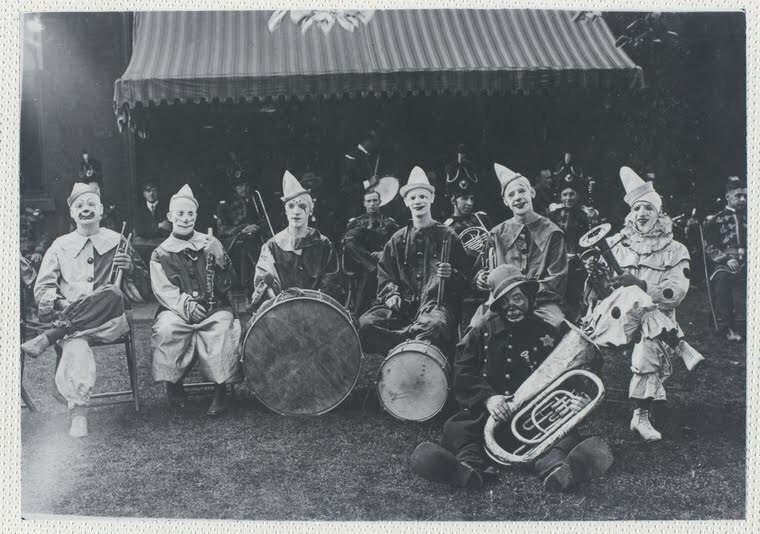 If I had to guess I'd date this as somewhere around the time Ringling combined with Barnum & Bailey in 1919.
to him with Pat Valdo seated to his right behind the bass drum. A link to a Sarasota Herald article stating that Valdo did indeed play trumpet in the clown band (with a nice piece on Paul Wenzel causing mischief) can be found HERE. 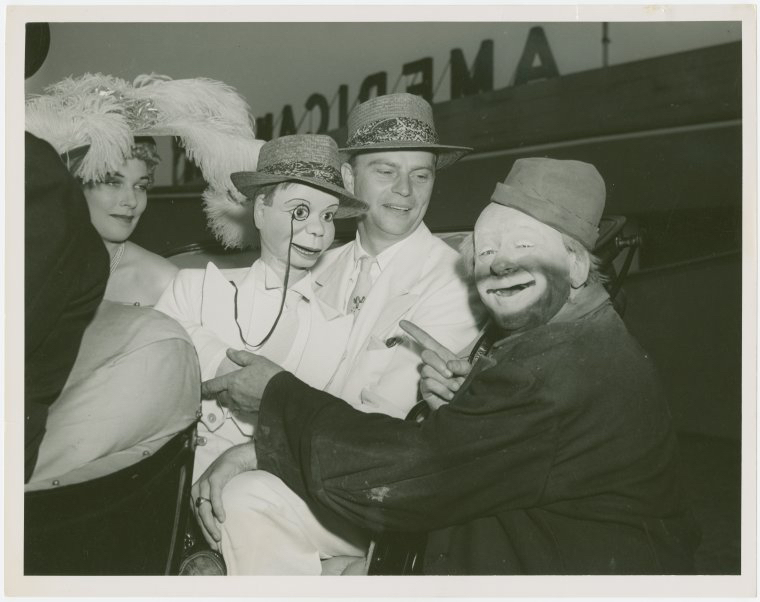 McCarthy Day" at the New York World's Fair on July 10, 1939.